Today, for our Day 6 of the 14 Days of Handmade Valentine Crafts. 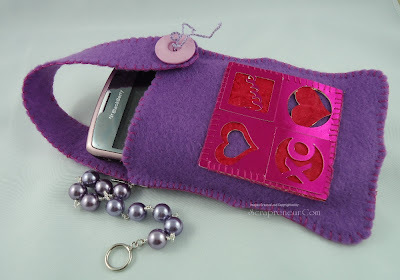 I decided to sew a phone case/pouch using felt. 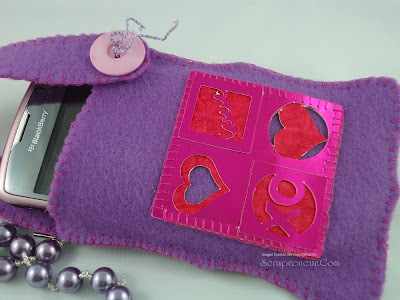 I have never done a similar felt sewing projects before so please bear with my sewing skills. I know, I need more practice, but hey, the concept is pretty easy. With just a few pieces of a felt + needle + thread, you can make a handmade pouch/case for your phone. 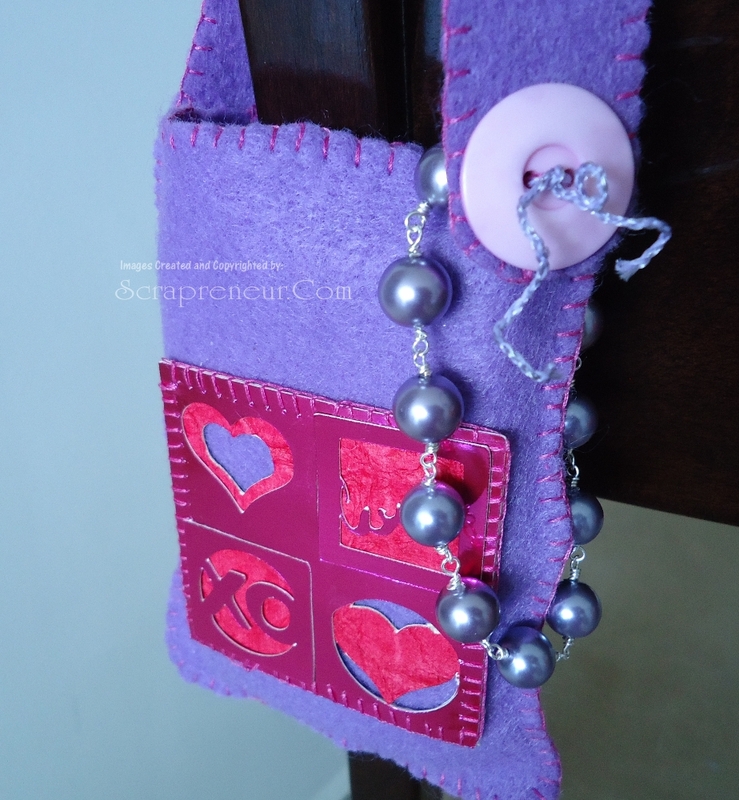 The good news is, it is very inexpensive craft and you can customized the design you want. 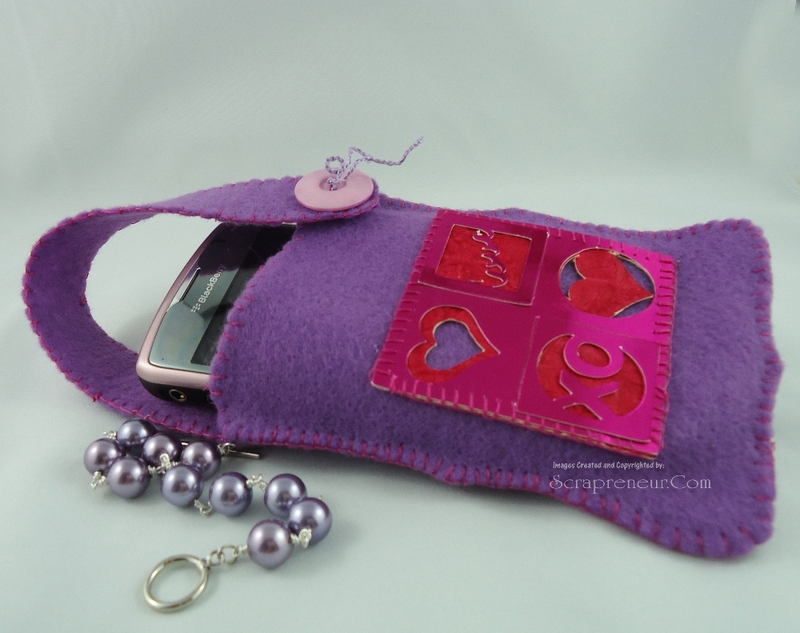 I used the top note pattern in making this case, it is perfect for anyone with basic stitching skills like me. You can measure your phone to make sure it will fit. In this case, I used my Cricut in making the template, I cut it at 4½"using the Accent Essentials Cricut Cartridge . Just blanket stitch the sides of 2 top note felt. This will be the body of your case. Make sure not to sew the opening side together. Again, with the help of my Cricut Machine , I cut my embellishment design from the Holiday Cakes Cricut Cartridge . Depending how fast you sew, this project can be done in less than an hour as long as you do not go crazy with the design. Now, you can make more designs and you can change your phone case as much as Lindsay Lohan change her hair color..lol ! Make sure to check the other projects of the 14 Days of Handmade Valentine Crafts and SHARE it with your crafty friends!